This level has easy difficulty and you need to use few steps and tricks to complete this level. 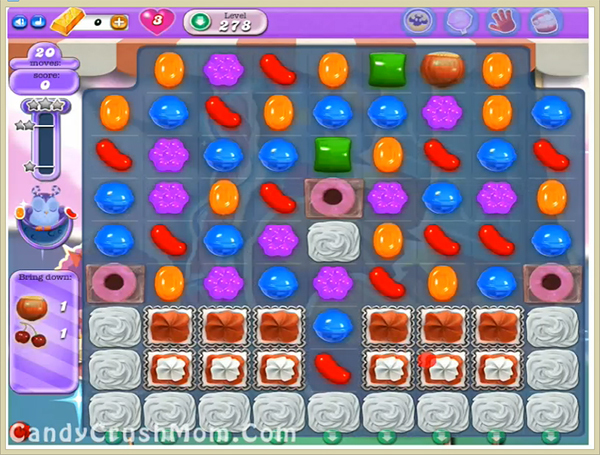 For this level first try to break blockers then break striped candies vertically that you get to break more blockers easily. Then use striped candy plus wrapped candy combo to break all blockers and take down two ingredients with balancing the Odus owl. We completed this level with 238640 score using same technique that we share above and got three star score at the end of the level.